New age smartphone capabilities allow consumers to remain constantly connected and are the driving force behind the cliché, “there’s an app for that.” Online retailers and service providers across the globe are adopting these capabilities to revolutionize the consumer experience with the inception of mobile payments. Speed, simplicity, and convenience are just a few reasons we see financial institutions, retailers, grocery stores, utility services, gas stations, and more, adopting mobile payments. Despite the advantages of mobile payments, consumers have been slow to adopt the trend due to a monotonous user experience, lack of incentive, and unanswered security questions. It’s clear that launching a functional mobile payments program isn’t enough to ensure success. To experience mass adoption, users must be engaged and incentivized, and feel confident their payment type is protected. Read on to learn about the key ingredients to launching a successful program. There are certain expectations consumers have when it comes to mobile payments. For the practice to be adopted and used on a regular basis, the mobile payments process has to meet customer expectations and beat traditional payment methods. Consumers expect mobile payments to be just as widely accepted as traditional cash or card payments. Mobile payment transactions should be simple, speedy, and seamless, without any technical interruptions. The payment process should be consistent across all checkout channels and customizable to an individual’s purchase history and payment preferences. Above all, the mobile payment process should be secure and protect consumers’ personal identifiable information and personal account numbers. However, simply meeting the convenience and efficiency of existing payment transactions is not enough to ensure that consumers will adopt mobile payments. A study performed by Accenture reported that 37% of first time mobile payment users felt that mobile payments is no more convenient than their existing payment methods. Today, consumers want to be engaged and feel involved in their purchase transactions. So a company must provide not only the ultimate convenience, but a rich user experience that incentivizes consumers to switch to mobile payments. This is most often done through loyalty programs. Reward customers for their loyalty and keep them coming back by sending targeted digital offers that are catered to their purchase history and are easy to redeem. With mobile payments, retailers can track a customer’s purchase behavior and use that information to their advantage to communicate rewards that are customized to a user’s purchase history. For example, for consumers that are loyal to one brand or service, providing a discount on another item purchased in conjunction encourages customers to try new offerings and rewards them for shopping loyally, which provides a richer shopping experience. This practice, keeps the customer engaged, and the personalized shopping experience makes them feel valued. Providing digital offers and discounts adds more value to mobile payments and incentivizes consumers to adopt the practice over traditional payment methods. However, to be effective, redeeming digital offers and discounts must be simple and seamless without any friction or hoops for a customer to jump through. A reward should be just that, rewarding. Discounts that are difficult to redeem can have the opposite effect, causing a consumer to abandon the effort all together. Once over the hurtle of ensuring consumers are engaged and incentivized, mobile payment providers have the astronomical responsibility of protecting customer data. Mobile payments can provide a convenient and rewarding customer experience, but a stolen credit card or identity is the ultimate inconvenience and can quickly result in a company’s demise. The strategies undertaken to protect data must be communicated to your customers in a way that’s reassuring and easy to understand. People are hesitant to give out their credit card information, and understandably so, so it’s your job to explain to them how you’ll be protecting that information. Our webinar, Security and Compliance 101, goes into the basics of data security and fraud protection. Check it out to learn strategies and best practices for collecting and holding customer data and how to stop, report, and recover should a breach occur. There are many advantages to implementing a mobile commerce program. The conveniences they provide for companies and consumers alike can be invaluable. 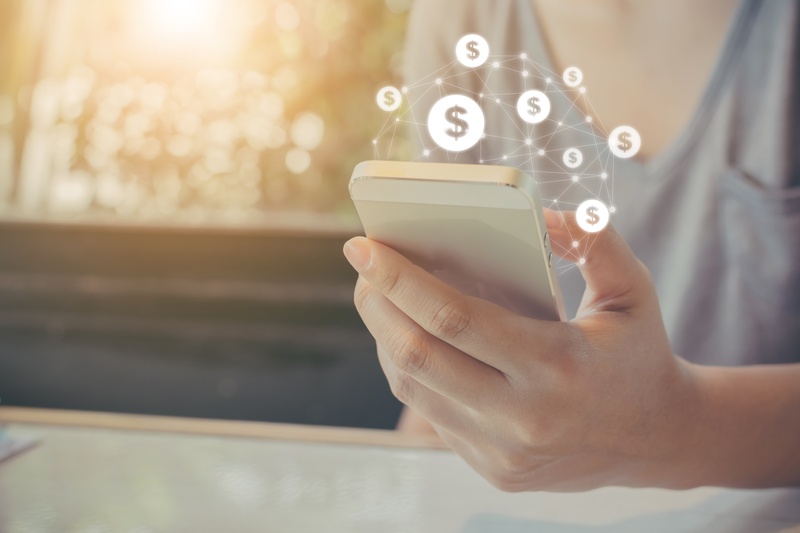 To ensure your mobile payments offering is widely adopted by consumers, be sure your company is taking measures to engage, incentivize, and secure your consumers purchase transactions.